A very merry celebration is about to begin! Join your favorite purple dinosaur as he travels to the North Pole to discover the wonders of Santa's workshop, decorates the Christmas caboose, and teaches Baby Bop that the magic of Christmas is about giving, not receiving. 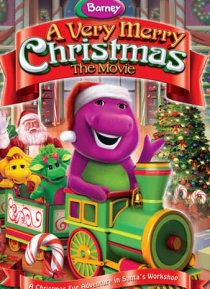 Barney makes all of your Christmas wishes come true with dino-sized friendship and fun in this festive holiday movie!